I've stop/start read this book since May and only just finished it. I think that shows with the disconnected style of my review, but I gave it a shot, even if it's all over the place. I'll start with a quote from page 67. There could be no palaces and fine parks, no aqueducts and paved roads, and no soaring pyramids without the labor of thousands of people straining at subsistence level. All of the meso-American cultures built their capital, and their civilization, out of peasant sweat. As you can see life for the Mexica could be brutal if you didn't sit at the top. The author's argument in simplistic terms and to my understanding at the present time, is that the Amerindian people developed their society later than that of people of other continents because they discovered farming much later. Several tribes existed in various parts of what would become Mexico and at differing times some of these tribes came to dominate and influence culture. One such group believed that the sun needed the sacrifice of human blood in order to rise every day and so the practice of human sacrifice and eventually the cutting out of people's hearts (Mel Gibson's Apocalypto style) became imbedded into religious practice. Fehrenbach argues that the Amerindian people were culturally and technologically stagnant for significant periods of time and once discovered by a technologically superior people, in this case the Spanish, It was inevitable that they would be exploited. This section of the book was my favourite. I found the story of Motecuhzoma and Cortez fascinating. Motecuhzoma saw the arrival of Cortez as the arrival of a sea god. I believe the story went that a white god was exiled and would one day return on some sort of sea beast. Low and behold when Cortez and his men arrived in ships, the Mexica leader put two and two together and got five. He then bowed down to Cortez and let him essentially pillage his stores of all of his gold and didn't raise a hand to stop it. Tensions eventually boiled over with the people and Cortez's men gunned them down, before being encircled in a pyramid. They tried to flee at night lost the gold in a polluted lake, never to be seen again, and Cortez was vanquished, only to return again and massacre the Amerindians. The Spanish then culturally obliterated the Amerindians enforcing slavery and catholicism on them, whilst pillaging their resources to send back to Spain for the monarchy. The death toll was also massive from imported disease and punitive government. At an estimate there were 11 million Amerindians in the conquered regions in 1520. By 1650 only 1 million remained. Fast forward to modern times and Mexico is formed after it gains independence from Spain, only to spiral into corruption and inept government after government. 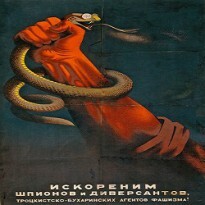 Revolution/coup one after another, until foreign interests start to see the stagnation and see an opportunity. Mexico then becomes a haven for British, American and French interests with some industries, such as oil, being purely owned by foreign companies without paying any tax. This was changed to a small rate of tax, before the oil industry was totally nationalized in modern times by Cardenas. The government ironed out a deal where it paid compensation for loss of property, which they ironically financed through US credit/loans. The books ends with the message that people endure and with endurance comes hope. But for me it's all a bit of a depressing and frustrating read. It's hard to stay emotionless and not see a country pillaged by ruthless business/nations and its own corrupt officials. The effects of colonialism were far reaching. You constantly begin to think there might be a light at the end of a tunnel for Mexico, only for someone or something to come along and snuff it out in a whirlwind of exploitation. Even through economics, situations arose in which politicians believed they were doing the best for their people only to then exacerbate existing gaps in wealth distribution as a result. There is a lesson in here about the dangers of total free market economics and a lack of state intervention and vice versa. I was largely oblivious to the role countries like Spain have played in destroying cultures and subjecting people to their rule. This is why education in this country needs to include a broader selection of history and not focus on British history and very modern European history. I have a degree in the subject and I'm learning more through my own research than I was ever taught. Whether I accept Fehrenbach's conclusions is another thing. 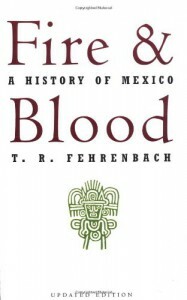 This books was republished in the 1990s and I wouldn't be surprised if some of the arguments have been rebuffed by modern research, but the fact is that this is my first foray into Mexican history and so I'm at this stage inclined to accept the conclusions it draws until I read further, should I choose to do so. Either way the history of Mexico is by and large a sad tale, a tale of what might have been for a country so rich in resources. Who knows what the future holds, but I hope one day it finds a way past chronic corruption, debt and inefficiency to develop into a strong economy.